Canada’s 9 Story Media Group has acquired Out of the Blue Enterprises, the US prodco co-founded by Blue’s Clues co-creator Angela Santomero. Out of the Blue, based in New York City, will become a wholly owned subsidiary of 9 Story Media Group following the deal, financial details of which were not disclosed. Co-founder and MD Samantha Freeman, a former Nickelodeon executive, will stay on to lead the company, while Santomero will continue to serve as creator and executive producer. Out of the Blue is best known for shows such as literacy series Super Why, Daniel Tiger’s Neighborhood and the art adventure programme Creative Galaxy. 9 Story worked with Out of the Blue on the latter two shows, which are in production for news seasons for PBS Kids and Amazon Studios respectively. Preschool specialist Out of the Blue also owns toy brand Colorforms and is in production on an animated series based on the classic property. 9 Story Media Group employs almost 600 staff, with animation facilities in Toronto, Dublin and Manchester, UK. It owns animation studio Brown Bag Films, which is known for its work on series such as Doc McStuffins, Octonauts, Nella the Princess Knight and Peter Rabbit. 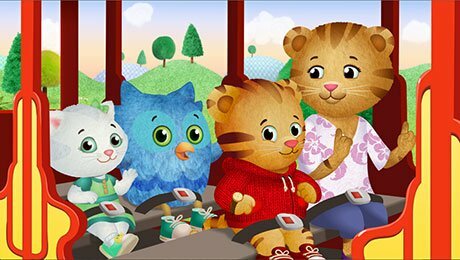 Creative Galaxy, Daniel Tiger's Neighborhood, Super Why!